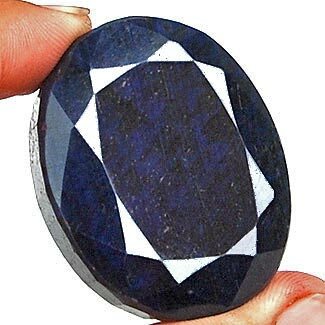 Sapphire is the main gemstone of Shani. Sapphire controls air element. It is known as neelam as its color is blue. However, it has other colors too. Its original name is Shanipriya, which is later known as sapphire. People wear it to get benefits and to control Shani. However, one should take care before wearing it. Do not wear before consulting an astrologer. Problem increases in life due to wrong consultation. It is believed that sapphire gives immediate profit or loss. People face immediate ups-downs. It takes you to the life or death. However, the truth is it gives immediate loss. It takes at least 15 days to give benefits. It creates more problems when time is unfavorable. Sapphire is beneficial for Aries, Virgo, Capricorn and Aquarius lagan. Sapphire is extremely beneficial for Taurus and Libra lagan. Aries can wear sapphire in special conditions. Sapphire should be avoided by Cancer, Leo, Scorpio, Sagittarius and Pisces lagan. People facing mood swing should avoid wearing sapphire. Sapphire should be avoided by serious diseases patient. You should consult an astrologer before wearing sapphire.